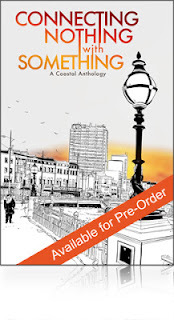 Tomorrow we’ll be joined by Kit Caless - editor at Influx Press, host of the literature show ‘Mapping the Metropolis’ on London’s Resonance 104.4FM. We also bring you the fantastic voice of Sam Berkson Angrysam - writer, poet and raconteur, who’s debut collection ‘Life in Transit’ was published by Influx Press last year to great acclaim. Plus the brilliance of Christian Watson, Michelle Madsen and many more - Open mic slots are available, first come, first served, all kicking off at 7pm and hosted by me, Salena Godden author of ‘Under The Pier’ published by NASTY LITTLE PRESS and Springfield Road #crowdfunded with Unbound - both of which are very Hastings-y books!! Big thanks and love to all who made it out to BOOK CLUB BOUTIQUE & INFLUX PRESS LAUNCH PARTY / HASTINGS, great work from Gareth Rees, Kit Caless, Christian Watson Poet, Sam Berkson, Gary Budden and our special surprise guest, the one and only Emily Lloyd!! Your clue was in the picture above!! 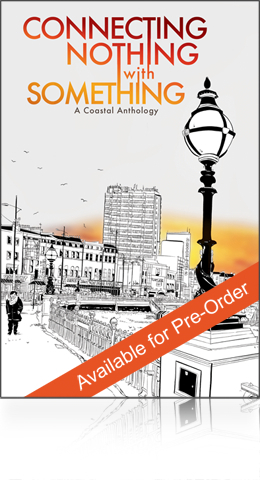 "Contributors include Salena Godden whose ‘The Beirut of a Hastings Saturday Night’, an excerpt from her book Springfield Road, has a wonderful beat-like quality and is richly poetic – as you’d expect from this punk poet extraordinaire – with lines about “brackish, hard-nut fishermen” and the “murky green gruel” of the sea that the great Dylan Thomas himself (another child of the coast) would have been proud of…"
Thank you, wow, lovely review for Influx Press anthology!! Well done everyone! !